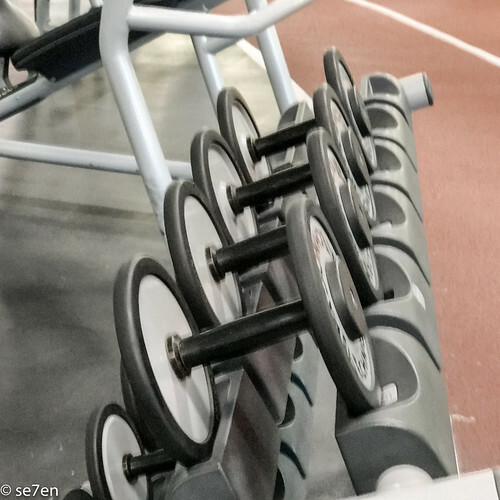 So I haven’t blogged about gym for a while, but then again, I haven’t been blogging a lot at all… And it is quite simply because I am slowly and steadily rearranging my life. It’s fun in a totally new way and I am loving it. When I started the Healthy Weight Programme at the Sport Science Institute of South Africa I was really hoping to get moving and I didn’t want to aim too high… I wanted to get moving sure, like tie my shoelaces with ease, well I have to say that it is time to re-evaluate my lowly goals. Because let’s face it at my very first meet up for the fitness assessment, they said oh so casually, “We will get you moving…” And they were right, I had no idea just how much I would be moving… or how much everything would be changing around me. I had no idea that I would actually run again, and I had no idea that I would be able to consistently get up at 5:30 in the morning to get their on time. That’s an actual athlete on the treadmill, the empty treadmill is waiting for my attention. 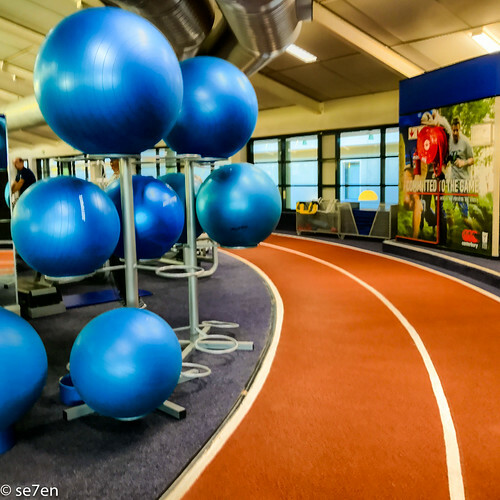 Firstly, let’s just say after a 4 weeks of learning exactly how to do gym we finally made it into the real gym last week… and there I discovered the treadmill. 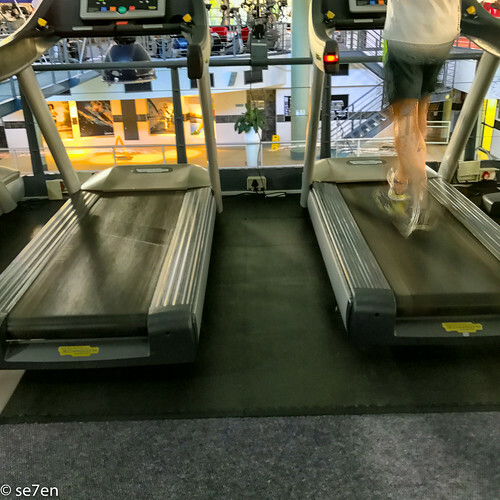 My last experience on a treadmill was somewhat of a disaster… and now I kind of like it, not as much as the rowing machine, which I really love. I have to say that the workouts are fun, difficult because we are learning new things all the time, and fun for the same reason. It’s not so much about the gym though, which is fabulous because I feel fitter than I have felt in forever and I am astonished to discover that things I thought I would never do again I actually can do. It helps to have a biokineticist, and a handful of encouraging interns alongside me saying, “you can do it,” all the way… I kind of wish I could borrow them for a Park Run. Not to mention, these folk would make excellent midwives, they are full of encouragement even when you are quite literally convinced that you cannot do something, they somehow manage to encourage you to keep trying. Rows of weights, and they aren’t just for decor, we actually pick those up and do stuff with them. This is not a new kind of tree, these are called Pezzi balls and are used to torture novice gym goers. I always used to blog when my kids were sleeping, I love the peacefulness and working away when the house is quiet. The reality is with doing this programme I have discovered that I need to carve out my needs a lot more clearly. Before I might have said, I am so tired and then soldiered on. Well now I head for bed. So I am looking for extra time in my day – time for emailing folk, time for editing photographs, and also time for blogging. So this means that a lot of folk around here have had to up their game somewhat. I no longer clean up after meals at all… ever. And I use that time for all the behind the scenes blogging work and in the evening, about the only good thing I am for is editing pictures… My most productive time of day is in the late afternoon, I have always liked that time of day for working, but that is also really busy, with visitors stopping by and kids needing attention for this and that. So this past week I tried blogging in the mornings, during school time. I know it seems crazy, but it appears that the mornings might be a good time for me… the kids have their work and I have mine. I have very few nice words available for anything that looks remotely like a bike. When I get home from gym the kids are just waking up and they can take forever to get into gear. I find myself waiting around for them to catch up with me and so I tried getting home from gym and working solidly on blogging, for an hour or two before checking on how their school day was going and it worked. It has to get better though. They all got the idea that they could actually get started with school while I was busy. All my kids have school ready to tackle on their own at the start of the day, even if it is just reading, nobody needs all my attention all the time. So I am upping their school game too. Let’s face it, my kids have a working mum and it has taken forever for me to figure out that it is okay to work while they are up and about and doing stuff. I have always thought that would be letting them down somewhat, but actually it is raising their game and the more independent work they do, the better. I am going to keep at it and see if the morning slot doesn’t work as a good time to get blogging more consistent again. Honestly something has to work out, because I never ever want to go back to not sleeping again. And now that I have discovered how much I enjoy gym I don’t want to lose that either. So time is of the essence, blogging will go on, just at a slightly slower pace, while I find the balance between life and sleep. In the meantime, I am going to encourage all the night owls I know to get more sleep, you will feel so much better for it. Wow, what a journey! Feeling very inspired by your Sports Science process – have just read all your posts over on their site too… the idea that sleep is so important in a healthy lifestyle is quite a revelation to me. I am loving reading about everything you are doing – this is so encouraging to me! Because all of your hesitations, and the things you say about what you thought you’d never be able to do again – that’s me!!! Isn’t sleep amazing? I am an unapologetic sleeper; I say 11 is my bedtime but most nights I’m out by 10. It is necessary for my 5am wakeup call. I love my silence and coffee in the morning. I love to read that you are not shy to share your disasters and failures. It is really motivational. Yes yes yes! Sleep and exercise! I am so with you for making those happen now. Not one day when my youngest is 21 or whatever! 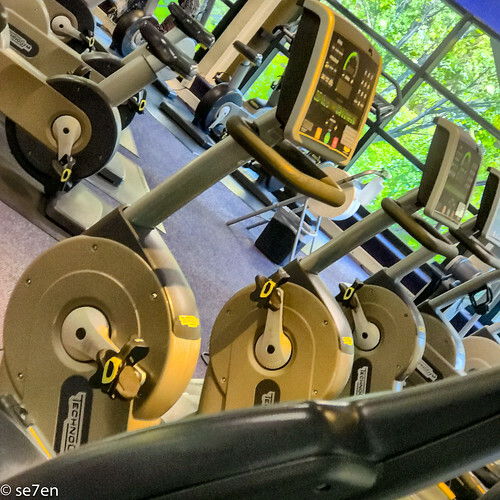 Loving your gym journey – it’s totally inspiring! Oh goodness, do I ever need to up my game in getting things and exercise done. The way you are making it work is inspiring. Yes, sleep is vital! I know this and I still let my night owl tendencies take over. Now you need a time management coach to get to all the stuff you want to. I volunteer myself. Seriously, let’s chat on our next call and brainstorm some things. Hay Marcia, I am finally getting my work rhythm right, as you can tell… I am finally getting around to respond to all the comments that have been flowing in. I have figured out a system to work and I am trying it out now, while the father person is on leave and everything is a little more relaxed than usual. Slowly but surely my life is being rearranged!!! Thanks for always being there friend!!! Thank you dvs, it has been a lot of fun and a lot of learning!!! Sending love!!! Too right corli, we just can’t afford to wait until our kids are all grown up… now is the time, I am up and at it. It has been so good for everyone, certainly not just me!!! Thanks for all the encouragement!!! Thank you so much Edwin, really appreciate the encouragement!!! Hope you have a great week!!! Thank you Debbie, I have so loved it, all the way. I can’t believe how all the little pieces do eventually add up, it has to be a slow and steady journey… Sleep, I am learning so much about it that frankly folk just aren’t aware of. You just have to sleep for every wellness reason… Sending buckets of love to you all, hope you enjoyed the holidays!! !